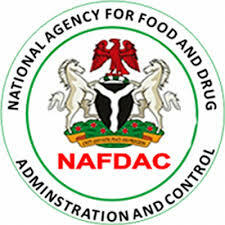 The National Agency for Food and Drug Administration and Control (NAFDAC) has sealed off four bakeries and arrested three persons for unwholesome practices during an inspection exercise in Benin, Edo state capital. The bakeries sealed included God’s Will, Life is Good, Our Daily Bread and Stone bakeries located on Sapkonba Road in Benin. Speaking on the essence of the inspection and surveillance exercise, the state Coordinator of NAFDAC, Mr. David West, said it was in line with the agency’s mandate of safeguarding the health of Nigerians. He said that the exercise was geared towards achieving three objectives of registration of bakeries, good hygiene practice and non-use of prohibited dough ingredients. “We have three teams carrying out this exercise in different locations in Benin today. From the inspection so far, we observed that most of the bakeries are not listed with NAFDAC and they operate under poor hygiene condition. We have given sanctions and made some arrest and they will be prosecuted,” he said. Mr. West said that the exercise would be sustained to ensure compliance with the agency’s regulations.